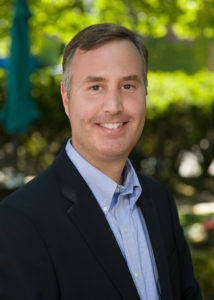 Shaun was named Executive Director and Chief Executive Officer in 2017 after serving as COO for 7 years. Shaun is committed to working with the community-based Board of Directors and a seasoned team of technical, clinical and programmatic experts to assure that interoperability services continually meet the needs of the health care community across Maine and beyond. In his role as COO, Shaun worked to elevate the national awareness of HealthInfoNet’s innovation through a consistent industry presence, conference presentations, and ongoing consulting with other HIEs. In addition, he led the technical and programmatic teams that have developed and implemented innovative applications for information exchange and reporting services that can be replicated in the HIE market. Previous to HealthInfoNet, Shaun directed operations, consulted, and conducted research and policy development of health information technology and interoperability activities for both public and private sector organizations. 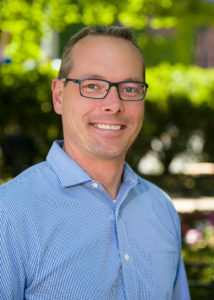 Shaun holds a faculty appointment in the Department of Family Medicine and Community Health at the University of Massachusetts Medical School and is a member of the Board of Strategic Advisors of the Health Delivery Institute at the Worcester Polytechnic Institute. Shaun received an MBA from the University of Maine and is a Certified Professional in Health Information Technology and Electronic Health Records. 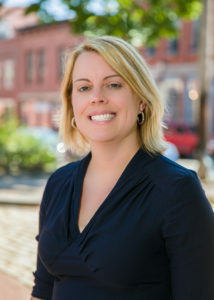 Allison joins HealthInfoNet from MaineHealth were she served as the Director of Finance, Special Projects, since 2016 and prior to that as Corporate Controller with Synernet, Inc, a MaineHealth Member. She played an active role in the integration of former Synernet business lines into the MaineHealth System. Allison also spent over 15 year with Baker Newman Noyes. As CFO, Allison is responsible for managing the finance accounting, personnel and fringe benefits systems, and human resources functions at HealthInfoNet. She works closely with the CEO, senior leadership, and the Board of Directors to guarantee strong financial management and planning for HealthInfoNet, compliance with personnel policies and regulations and provision of human resource services. Allison’s skills include financial planning & budgeting, financial statement preparation and analysis, and internal control review and improvement. 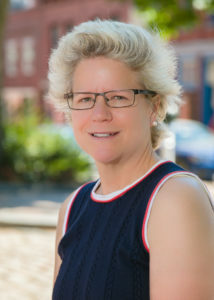 She earned her Bachelor of Science in Accounting and Linguistics from the University of Southern Maine and is a member of American Institute of Certified Public Accountants, Maine Society of Certified Public Accountants, and Healthcare Financial Management Association. Phil is Director of Information Services at HealthInfoNet. He is responsible for maintaining HIE and Analytics core systems, providing application software development and managing interfaces with data partners. He has been an IT professional serving Maine’s healthcare organizations for over 25 years with extensive experience implementing practice management and electronic medical records systems. Phil holds a Bachelor of Arts in Mathematics from Bowdoin College and is certified as a Project Management Professional with the Project Management Institute. Katie is HealthInfoNet’s Director of Client Services and is responsible for implementing the clinical services of Maine’s Health Information Exchange. Katie also leads and develops HealthInfoNet’s grant programs. 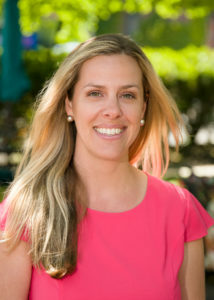 Prior to HealthInfoNet, Katie served as the Administrative Director of Primary Care for the MaineGeneral Health system. Katie grew her passion for health care reform where she began her career, at Dana-Farber Cancer Institute. Katie is experienced in implementing NCQA, Joint Commission, and other quality accrediting programs. She holds a Master’s in Business Administration from Simmons College School of Management. Jen is HealthInfoNet’s corporate counsel and is responsible for managing the company’s legal affairs including health care compliance, commercial transactions and HR. Prior to HealthInfoNet she practiced in the legal group of a publicly traded company and negotiated the technology agreements to build the heat shield that enabled NASA’s Curiosity Rover to successfully land on Mars. Jen holds a B.A. in Philosophy from Rutgers University and earned her Juris Doctor from Texas Tech University.